Jaal Shah, Founder, RezLive.com and Group Managing Director, Travel Designer Group, talks about the newly launched Designer Indya brochure, significant services and facing competition. At Designer Indya, we promote Luxury Inbound Indian Holidays to the international markets. With a dedicated team, Designer Indya is catering to the needs of retail and B2B customers all across the globe and also empowers, RezLive.com with 1600 + Indian hotels and extends the facility to book Indian Hotels online. As far as USP of the product is concerned, it will be 24*7 support, one of its kind brochure with detailed itineraries, complete destination insight, local market understanding, comprehensive travel solutions and expertise operations team, to name a few. Looking at our reach and the kind of bandwidth we have, we thought of replicating our outbound success story in inbound segment also. As a result of which we started off with Designer Indya, our offline inbound product, catering to the growing inbound needs of our travel partners and giving their clients a luxury inbound experience as per their requirements. When there are so many portals claiming to offer unique travel experiences, how do you compete in such a market? What keeps us apart from the competition is local expertise, understanding of local market dynamics, Direct contracts with hotels and land arrangement suppliers, 24*7 support, luxury travel experience at best net rates. Also, our team explores the whole country throughout the year, in order to present something new to the clients of our travel partners every now and then. We even launched the wonderfully crafted brochure of Designer Indya in Oman market and the same was launched in front of the travel trade during ATM by Manas Ranjan Pattanaik, Director – India Tourism (Ministry of Tourism Govt. Of India) and I.R.V. Rao, Assistant Director – India tourism. Both the dignitaries were full of praise after looking at the Brochure and applauded the team on the concept and the way whole India was covered in the Designer Indya brochure through different Itineraries. We will also launch it in other global markets through agent networking events that we do from time to time basis. Furthermore, we will also look to have joint promotional activities with state tourism boards to promote inbound at large scale and promote tourism in the country. What were the challenges that you faced while consolidating this initiative? There were not much challenges that we faced, as everything was properly planned and the team executed the set strategies for the same very meticulously, keeping no room for error. The product is taken care by professionals who have years of experience in inbound and they are doing it very well to take the product to new heights. Are you targeting only high-end travelers through Designer Indya? Designer Indya is catering to the needs of retail and B2B customers all across the globe. We have packages that meets the need of every customer we cater to. We have standard as well as customized itineraries, which the retail or B2B customers can choose as per their requirements. The itineraries are so magnificently designed that it doesn’t miss out on anything. 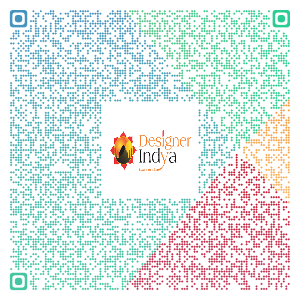 What are the significant services offered through Designer Indya? Designer Indya is the first choice of travellers from Kashmir to Kanyakumari and Bhuj to Guwahati, which excels in satisfying the needs of our Travel Partners with our exceptional and unmatched services. Designer Indya also operates as an off-site travel department, helping our clients to plan and organize luxury travel according to their wishes. Through Designer Indya, we take care of all the inbound related travel needs of our retail and B2B customers from Hotel to land arrangements. With innovation of technology, Designer Indya has huge online presence, attracting large traffic of B2B as well as retail consumers, looking for customized Indian holiday experience. Feel Free Contact Us and Email Us at - book@designerindya.com for more information about India Tour Package.